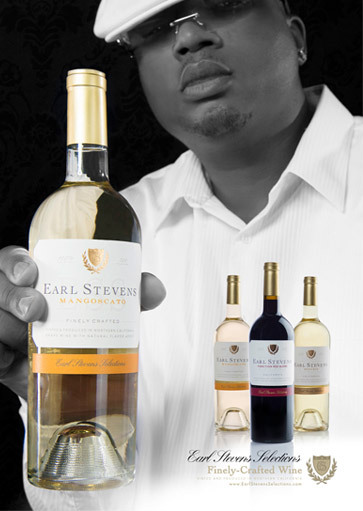 Wines made by Earl Stevens. 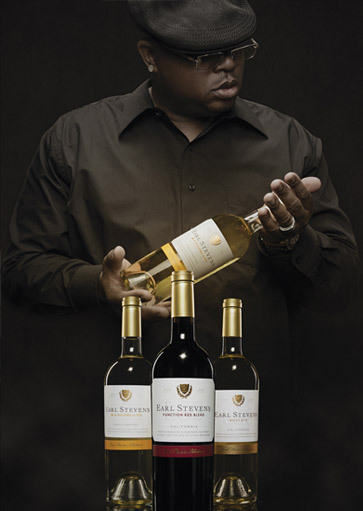 Earl Stevens is a platinum selling recording artist and actor from Vallejo California. 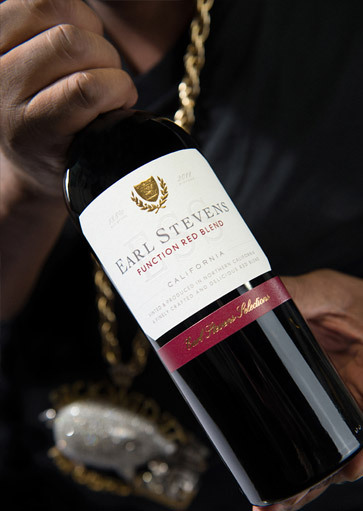 Earl is also known by his stage name of E-40, a rap veteran entrepreneur that is mostly known for his unorthodox rap style & catchy slang words. In the early days of his career he made his name by selling tapes out the trunk of his car and now he is living his dream! The sweet aroma of mango jumps out of the glass with this wine. Even served over ice the subtle aromas of citrus and apple show up. The flavor is lightly sweet but crisp and refreshing at the same time. The flavors of ripe mango and other fruit play gently on the palate. This wine has a strong finish and the 18% alcohol make it all worth while. This red blend wine opens with jammy aromas of raspberry and plum with subtle hints of spice and the toasty aromas of oak and vanilla. The flavors are a delicious array of ripe fruit and balanced acidity with the sweet headiness of French oak. The fruit -centric finish is long and delicious and begs for the next sip. The aroma of this wine is over the top. The floral aromas pour out of the glass in a cacophony of honeysuckle, gardenia, orange blossom, white cherry, apple, pear and peach. WOW, this wine smells good. The flavors are very pleasant with lightly sweet layers of fruit. The finish is smooth, fruity and nicely balanced.